Tuesday, 1:30PM - 5:30pm, Location: 178 Wurster and See tentative travel itinerary below. Approval of instructors required for registration. There are fourteen major sister cities along the United States - Mexico border whose urban, cultural, and ecological networks have been bifurcated by a borderwall. With 650 miles of wall already constructed, and the population in these urban areas expected to grow to over 20 million inhabitants over the next decade, the long-term effects of the wall’s construction must be carefully considered now in order to anticipate the consequences of its incision into a context of rapid growth and massive migratory flows, especially as the current political climate calls for further wall construction. 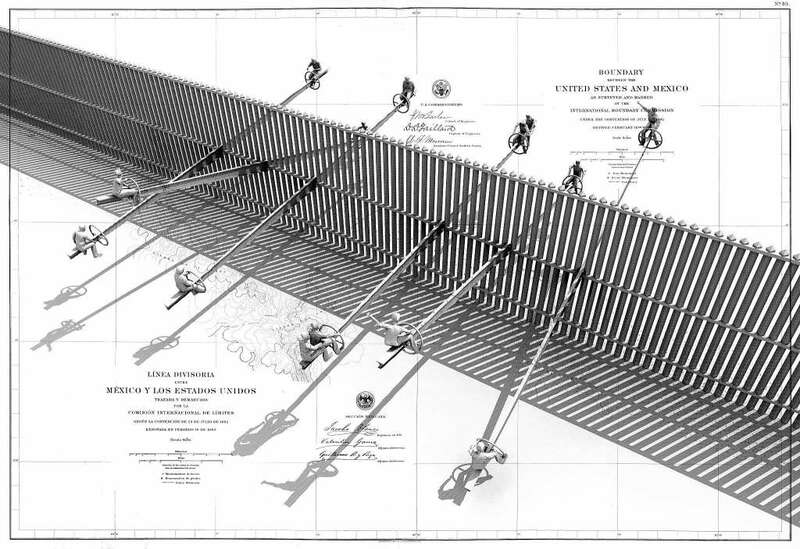 Using the U.S.- Mexico borderwall as a site of investigation, this experimental graduate seminar/studio class will explore the American borderwalled city as an evolving political, societal, historical, and cultural phenomena. Using experimental methods of analysis, fabrication, and collaboration, students will be challenged with examining the complex conditions of borderwall urbanism, creating objects and artistic responses to site and space. Several field trips will bring students directly to border sites and provide context and examples of innovative reactions that challenge preconceived notions of boundaries and territories. Students will learn from examples of artists, writers, and designers whose work is in reaction to the wall. The final project will consist of individual or collaborative works that will be deployed at a site along the border. Students from all departments are welcome. No previous mapping, design, or art experience is required.